It's time for another LitFuse Book Tour! This time, I was hanging out at the end of World War II in Eastern Germany. 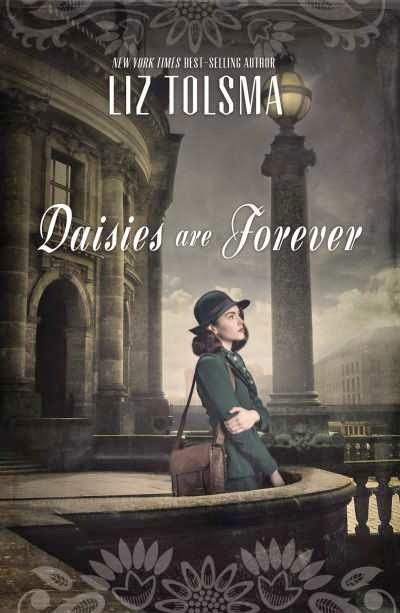 Daisies are Forever, by Liz Tolsma, was well worth reading. I've read a fair amount of historical fiction set during WWII, but not much has dealt with ordinary German people, nor does the Russian Army tend to be a big part of it. What did I think? Well, first off, I finished reading this book over a week ago. I usually write my reviews within about 24 hours of my reading. This one, though, I just couldn't start writing. Sure, I put in the cover, and linked up where you can buy the book. Inserted the code for the contest below, added a disclaimer. This is the part I couldn't get started on. Not because I didn't like the book. I loved the story, loved the writing, and loved the characters. It felt realistic and historically accurate, though I'm not an expert in that (or any!) time period so I don't know. I knew my review was going to say that I highly recommended the book. I needed some time to process it all though, before I could write. There were just so many hard decisions being made throughout the story. Very early on, you have Ella making the decision to stay while the Red Army comes in, so she can care for her ailing father, and sending her little girls west with her cousin. The book focuses on Gisela's decision to accept Ella's decision, but as a mom, my eyes were on Ella and her resolve. I also have to admit that I did not yet like Gisela as a character at that point. Your cousin tells you that the only chance her children have is if you take them west. You cry, sure. But you save her babies. As they travel -- which is agonizing and difficult -- there are so many other decisions to be made, and you watch Gisela mature before your eyes. Without giving too much away, it does need to be noted that characters die, and there are several fairly traumatic events that definitely fit in with what I have read about the advance of the Russian Army through Eastern Germany. This is not an upbeat, uplifting book in that sense. It is a reminder of some of the horrors of war, and the resilience of ordinary people.